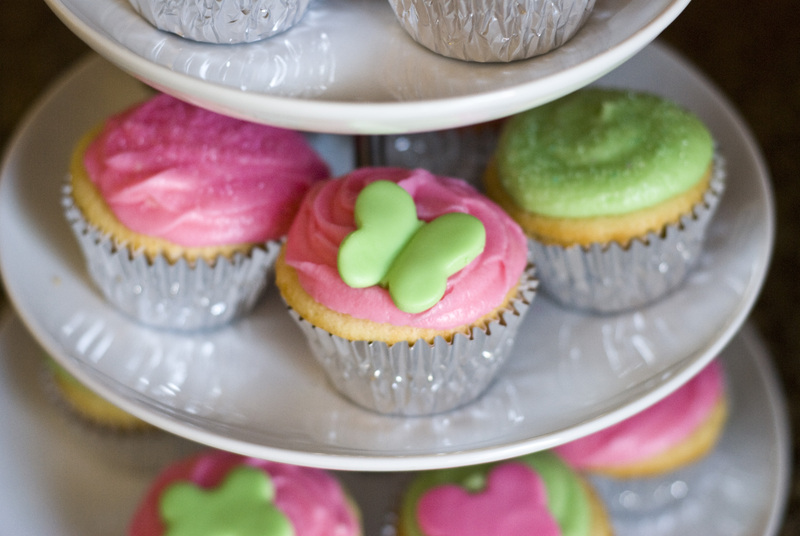 Yep, you can make fondant at home! I wanted a few butterflies on the Vanilla Cupcakes for my daughter’s birthday party. I didn’t want to buy the commercial stuff because it tastes gross and I only wanted about 15 or so butterflies – not an entire cake. 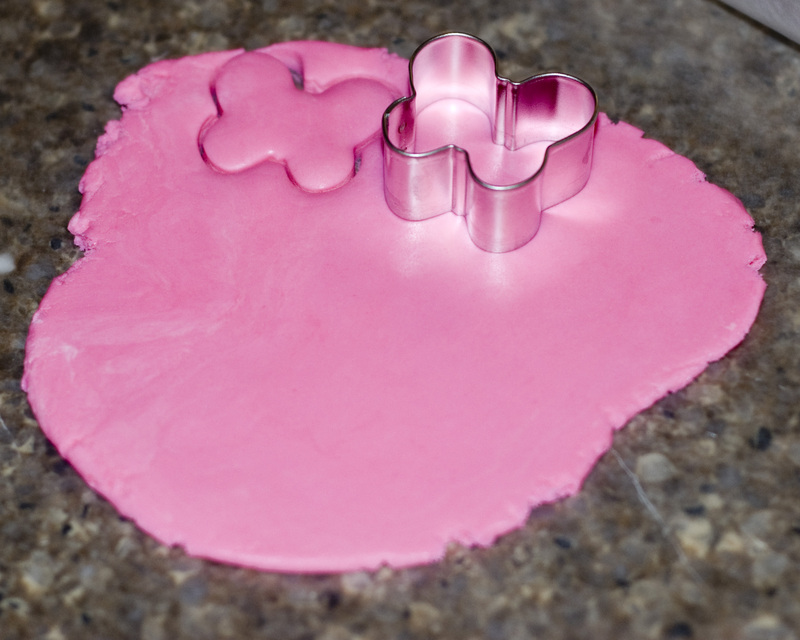 You could also use this recipe for edible play-doh, birthday cakes, or cookies. …Yep that’s it! This yielded a total of 18 butterflies. 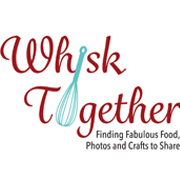 The cutters are Wilton Mini Romantic Metal Cutters… which cost less than the fondant cutters with the butterfly by Wilton. Weird. 1. Spray the inside of your mixer very very well with cooking spray. Place the fluff into the mixer. If you want to add color or flavoring, now is the time. You may need to mix in the color by hand with a spatula or mix in the mixer on medium-low speed. 2. Switch to low speed and gradually add the powdered sugar. 3. The texture at first will come together and look great, HOWEVER, this stage is very sticky and not good for working with. Once the mixture just starts to form crumbs, stop the mixer. Take the fondant in your hand and squeeze a small portion together. It should stick together like play-doh and not be sticky. If it is sticky, then add more powdered sugar. 4. Grease cling wrap with vegetable shortening and wrap fondant in it. Store in the fridge. Remove from fridge 5 minutes before you want to work with your fondant. 5. Roll to about 1/8-1/4″ and start making your creations! I used small cookie cutters.